Should I Grow Bitter Melon? | Grow Your Own Veg Blog. Gardening and Food Blog. Should I Grow Bitter Melon? 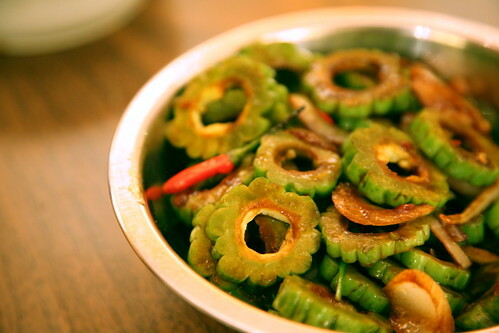 The strong, bitter flavour of the Bitter Melon or Bitter Gourd (Ku Gua, Fu Gua) is almost certainly an acquired taste. As a child growing up in Malaysia, I can remember avoiding it at all costs, thinking that it was the most horrid vegetable on the planet and one best left for the grown-ups. And then, a few years ago, I returned to Malaysia as one of those "grown-ups" and whilst at a restaurant, observed with much curiosity how popular bitter gourd dishes were with diners all around me. I decided to give it another go, and to my surprise, actually really enjoyed the bitter edge that this vegetable had to offer. Perhaps my taste buds had finally grown up? 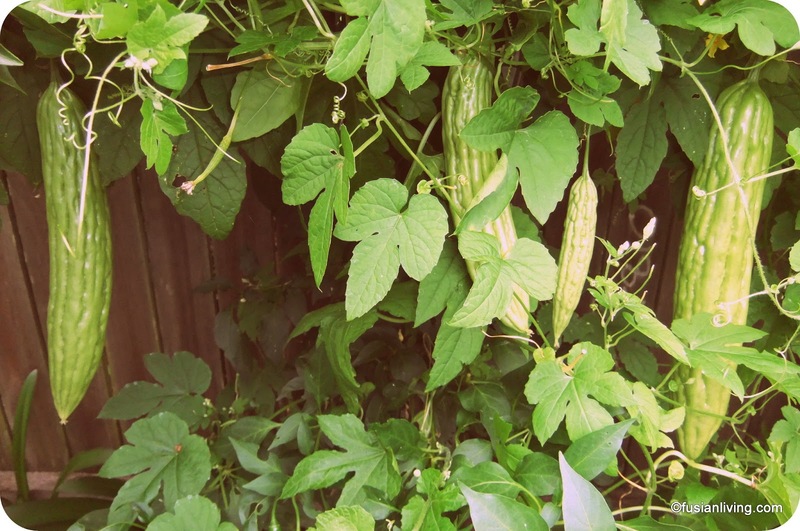 My parents are growing this extraordinary vegetable in their garden in Sydney, Australia. If you live in Sydney, the seeds can be bought from your local Chinese supermarket. They tend to grow well in hot and humid climates, so really thrive here during the summer months. You can support the plant with stakes or a trellis, allowing it to climb up, so that the fruit always hangs downwards preventing them from rotting on the ground. The fruit itself has an "interesting" outer skin which is uneven and bumpy, which makes for a pretty flower-like design when diced up. There are differing opinions on when it is best to harvest the bitter melon. 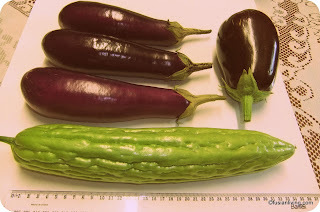 Some prefer to harvest them small when they are less bitter, but we generally harvest them when they are larger and green. The inside of the melon is filled with seeds that need to be removed before consumption. Bitter melon is consumed widely in Asian cuisine; braised, stir fried, added to soups and curries and believe it or not, even as a freshly squeezed juice!! However, this is a pretty extreme tasting vegetable. Comparable vegetables that spring to mind are rocket and watercress, but if those should rank a 5 on the bitterness scale, then the bitter melon would be right up there, at 8 or 9. Strangely enough, the bitterness is all part of its appeal. Me personally, the only way to cook and enjoy this melon is to balance out the bitterness with strong and intense flavours like black bean sauce or fish sauce, and of course, lots and lots of garlic. A final word of caution, though, the bitter flavour of this vegetable is not for everyone. It is an acquired taste. So, you might either grow accustomed to the taste and crave for more, or detest it and never want to have it again. So, do try to do a taste test first before deciding whether or not to invest your time into growing it. SPECIAL THANKS: My father, for contributing his story and taking the photographs.